INMA: Research Project - Towards a sustainable model of journalism innovation in an era of perpetual change. "Time to step away from the ‘bright, shiny things’? Towards a sustainable model of journalism innovation in an era of perpetual change"
In the first paper from the Reuters Institute's Journalism Innovation Project, Senior Research Fellow Julie Posetti asks whether the news industry has become too obsessed with technological innovation in the absence of clear and research-informed strategies. How can journalism change from being technology-led, to audience-focused and technology-empowered? 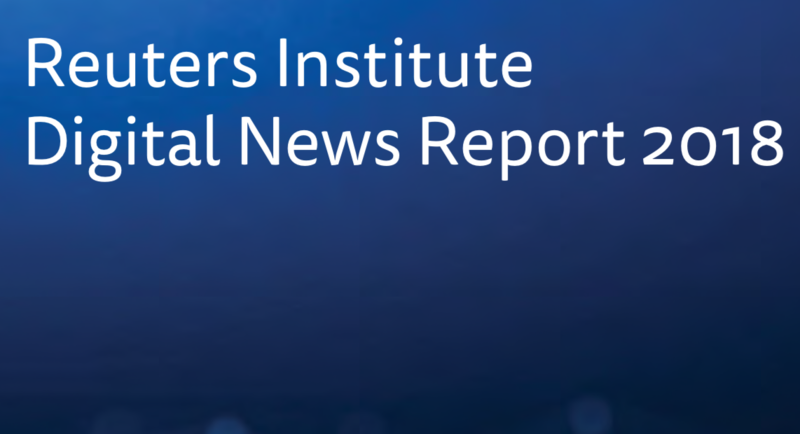 The research featured here is based on roundtable conversations involving 39 international editors, CEOs, product managers, practitioners, academic experts and digital media consultants8 from 17 countries who operate at the forefront of digital journalism innovation. Many of them occupy senior roles within news organisations that range from start-ups (e.g. The Quint, Rappler, Civil, Kinzen9) to established global news brands (e.g. the New York Times, Reuters News, the Australian Broadcasting Corporation, Süddeutsche Zeitung, and the Washington Post). Several have been at the forefront of digital journalism innovation for over a decade – as disruptive individual practitioners and team leaders, as digital transformation managers, as industry ‘evangelists’ for change, and as start-up pioneers. While these groups are not scientifically representative, participants were selected for their expertise and they collectively provide a wide variety of voices from journalism innovation practice worldwide.